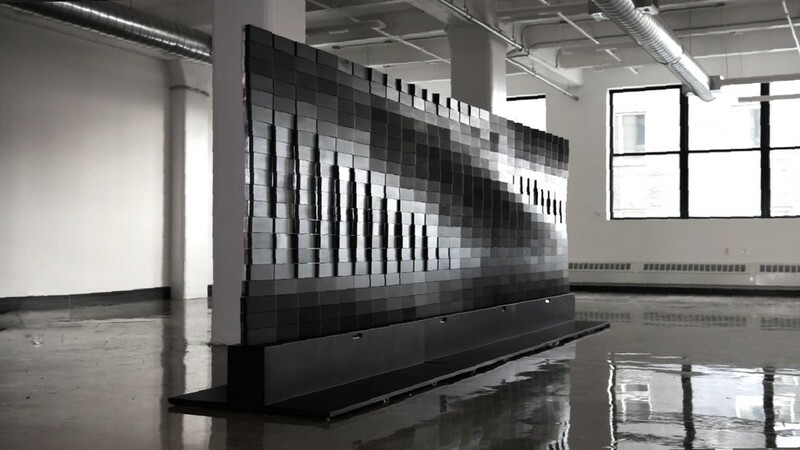 Breakfast, a Brooklyn-based design studio, has developed a smart brick of sorts for a new style of architecture and art. Brixels can be customized using various shapes, sizes, and materials, and can rotate endlessly or in fixed positions depending on the applications. The smart bricks are laid out in columns, and at the bottom of those columns are Linux controllers that pass along instructions via RS485 to an internal microcontroller housed within each Brixel. The microcontroller then engages a motor that turns a set of gears that enable each block to rotate on the shaft, and since most of the hardware is internal, they can spin without tangling any wires. The display is also outfitted with Intel’s RealSense cameras, which are used for interaction with Brixels. Each Brixel is controlled through an app, allowing you to program the facade and create playlists and schedules. Breakfast is currently accepting commissions for custom installations, including those from corporate clients who would like to add a unique display in their lobbies, or museums looking to highlight new material and presentations. The design company has reportedly been in talks with several companies and institutions, including the Cooper Hewitt Smithsonian Design Museum in NY. With that said, Brixel displays don’t come cheap and can cost anywhere from $750,000 to $1.5-million depending on the applications. 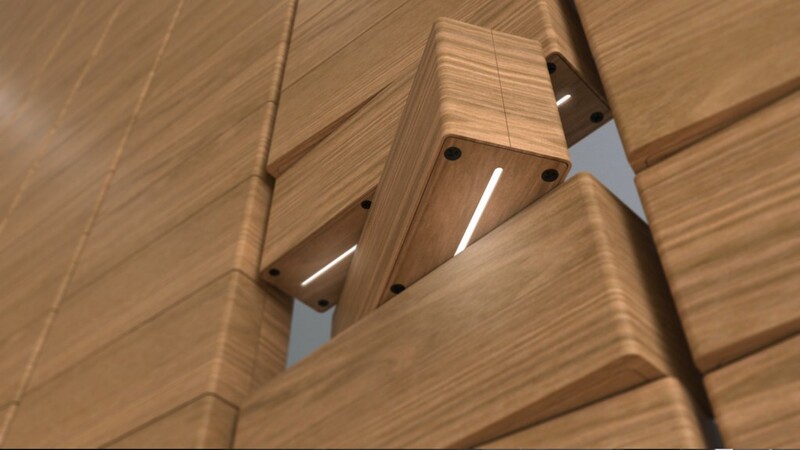 Breakfast’s Modular Brixels Can Be Combined for Custom Artwork and Building Facades was originally published in Hackster Blog on Medium, where people are continuing the conversation by highlighting and responding to this story.